In case if anyone is looking for a quick, affordable and fun excursion while being in Toronto, then he must consider to take a short drive towards the southwest to the Niagara Falls. This place is not just famous for being the most picturesque natural water falls, but also has the best wineries, exhilarating rides and towns of historic significance which is surely going to be attractive to the entire family irrespective of the age factor. As a matter of fact, the NIAGARA SIGHTSEEING TOUR is by far the most sought after tour in the entire world. NIAGARA SIGHTSEEING TOUR – THE BEST TOUR FOR THE FAMILY! Instead of travelling to the beautiful place on their own, it is always advisable for people to take the NIAGARA SIGHTSEEING TOUR under the guidance of an experienced tour guide. This way the person and his loved ones can have a planned trip under a professional vigilance, without having the fear of anything going wrong. The guides of the NIAGARA BUS TOUR will be responsible for picking up the tourists from their hotels or any other meeting spot, and then will take them through a lot of significant places including the Niagara-on-the-lake, Reif Estates Winery, and the smallest Chapel in the World, Hydro-Electric Power Stations and finally the Niagara Falls. 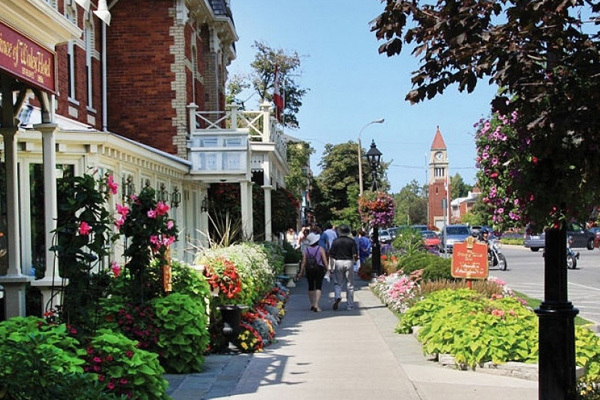 NIAGARA-ON-THE-LAKE – Great eateries, fabulous shops, lush gardens and amazing architectures are what make this place attractive for the tourists. REIF ESTATES WINERY – This place is historic and an award-winning institution for the best wines of the region. The best part, however, is that samples of wines can be availed for free. SMALLEST CHAPEL IN THE WORLD – As the name suggests, the world’s smallest chapel is situated right on the shores of the Niagara River. It is documented in the Guinness Book of World Record. HYDRO-ELECTRIC POWER STATIONS – Loaded with modern technologies and generating over 4 million kilowatts of energy, this series of Hydro-Electric Power Stations is situated at the heart of the Niagara River and is full of exciting stories to unveil. NIAGARA FALLS – The final destination of the tour is the serene beauty and picturesque eye-candy of the Niagara Falls where the tourists discover the marvels of the luscious waters roaring. Apart from that a lot of fun elements await the tourists, including the mouth-watering eateries, thrilling rides, wax museums and various arcades. Thus, it will be at the best advantage of a person to book the best tour operator to arrange for the entire fun-filled NIAGARA BUS TOUR, sit back, relax and enjoy the entire trip with peace and contentment along with their loved ones.